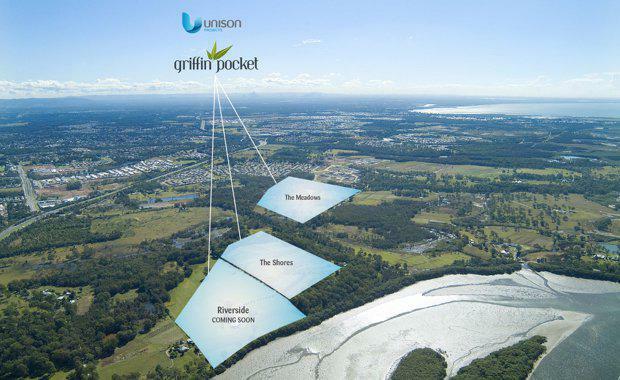 Developer Unison Projects plans to boost its residential estates at Griffin on Brisbane’s north side after acquiring a neighbouring riverfront site that was formerly a turf farm. Unison Projects’ Jonathan Levy said the approximately nine hectare property on the Pine River at Griffin had been purchased after a “long time courtship” with its owner, a local businessman. Mr Levy said the predominantly cleared site offered 270m of river frontage and was between Unison’s sold out, 245-lot Griffin Pocket estate and the recently launched The Terraces on Griffin Pocket, a 28-lot house and land lifestyle precinct. “This was a highly sought after site and we faced strong competition from local and interstate developers who recognised the premium nature of this unique parcel,” Mr Levy said. “This is a rare opportunity to offer a riverside lifestyle precinct and we are grateful to the owner for selling us the site. We are looking forward to working with Moreton Regional Council to try and create a premium lifestyle precinct. Mr Levy said the overall Griffin Pocket estate had been a resounding success since it was launched with more than 235 lots sold and settled, with one 574 square metre block snapped up for a record price for the area of $450,000. “Griffin Pocket is part of a region that has been rated as one of South East Queensland’s fastest growing yet greenest areas," Mr Levy said. “The North Lakes precinct has evolved into a major retail and commercial zone with a wide range of employment opportunities while also boasting public and private schools and excellent amenities and transport links. “Almost half of Griffin Pocket has been preserved as open space connecting to council planned and much anticipated regional sporting precinct, Elizabeth Road Parklands," he said.